At Anna Maria Vacations, we strive to keep your options growing. We are consistently adding new vacation rental options to our website. Take a look at these fabulous new additions and book your next vacation right here on our website or call us today! Nautical Sunrise is a beautiful canal-front home that welcomes you with a light & airy coastal vibe from the moment you enter the upper-level living space. This luxury property features 4 bedrooms, 3 bathrooms (2 en-suite), private heated pool with sun shelf & overflow spa, private boat dock, large front, and back decks -you can even enjoy glimpses of the Bay waters from the upper-level deck and windows! Chill out on the lower level dock & pool deck and forget all your cares… or sit on the sun shelf in the private heated pool and watch the boats go by. Grab some shade underneath the covered lanai, practice your golf skills on the putting green, and grill up a delicious meal while you enjoy spending quality time with your loved ones in the Florida sun. The large covered lanai has an outdoor kitchen & bar, TV and plenty of space for family fun! TAKE A LOOK. It does not get any nicer on AMI than this luxury gulf front condo! 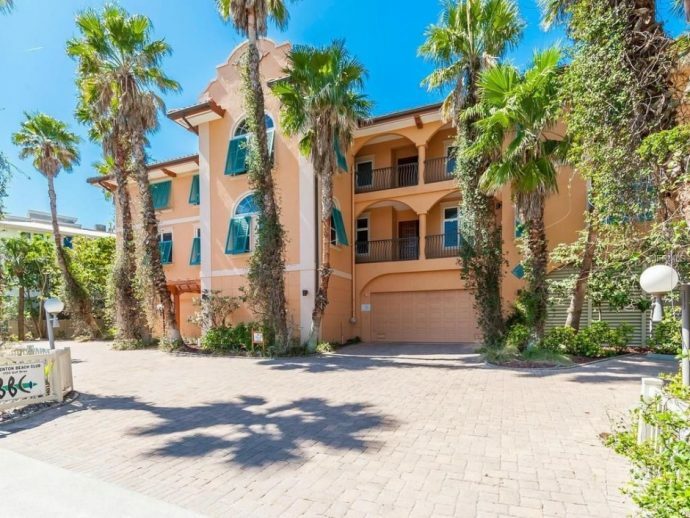 A corner unit at Bradenton Beach Club, unit E is an immaculate 3 bedroom and 2.5 bathrooms direct gulf front condo that features incredible views of the crystal clear gulf waters and white sandy beaches of Anna Maria Island. Enjoy the beautiful views of the beaches and resort style heated pool from your spacious screened-in balcony. It doesn’t get any more convenient than this! Take a short stroll to the beautiful Bridge Street area and enjoy lots of great shopping and restaurants. TAKE A LOOK. Dockside Retreat is easy Florida living at it’s finest! 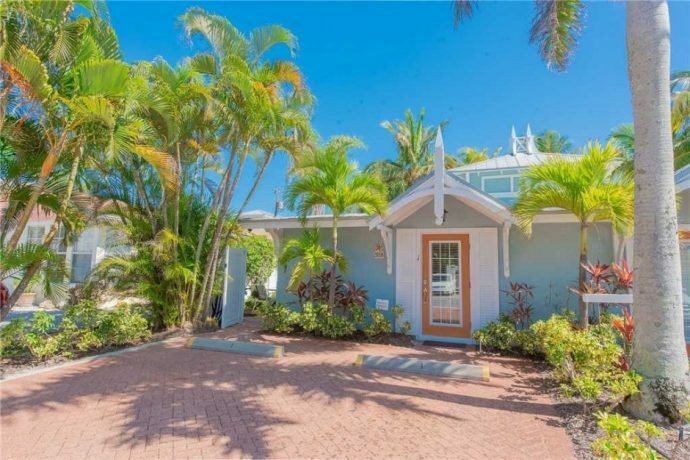 This amazing north-end canal front home has everything you need to make this your best Anna Maria Island vacation ever. This 3 bedrooms and 2 bathroom home offering a large screened in pool, large garage and so much more! Not to mention it’s an incredible location. 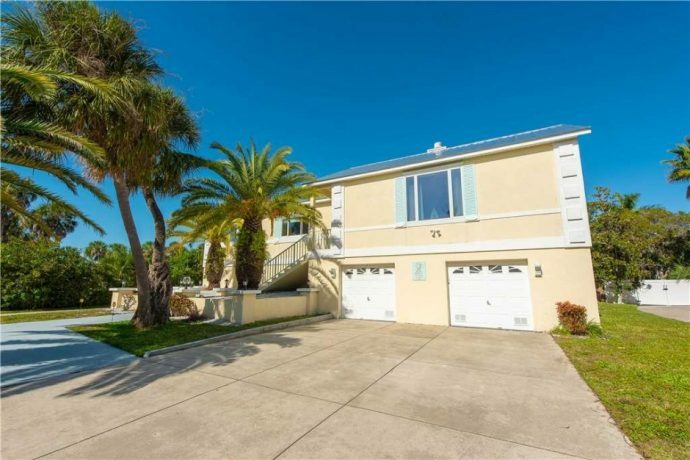 Tucked away on a quiet residential street on the prestigious North end of Anna Maria Island, it’s just a short walk away from the Bayfront Park and the historic Rod and Reel Pier. TAKE A LOOK. If you are looking for that perfect cozy island vacation getaway, then look no further! 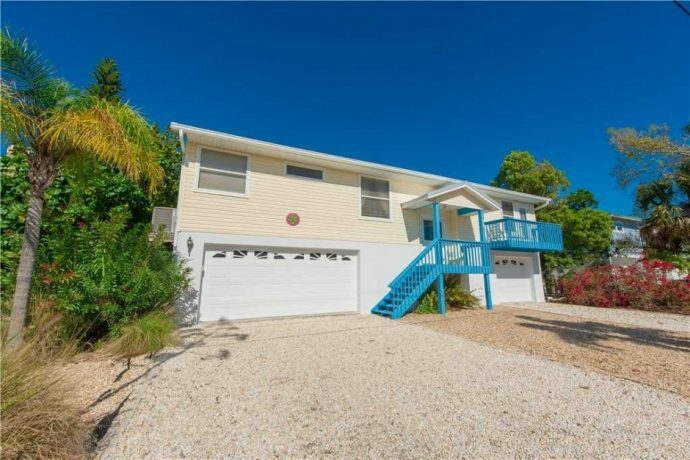 Starfish 1 is located just a short 90-second walk from the beach and is centrally located to all that Anna Maria Island has to offer. This 2 bedroom, 2 bathrooms has got it all, with tropical landscaping, and convenient ground-level access – it’s perfect for your next getaway! Professionally decorated throughout, Starfish 1 has a fully equipped kitchen, washer, dryer, and flat screen TVs in every room. Enjoy the cozy living room or indulge in a delicious home-cooked meal in the fully-equipped kitchen. Outside, enjoy the pool (shared with only three other units), or venture out to see all that the island has to offer! Just a short walk from the renowned beaches, unique restaurants, and quaint “Old Florida” shops – there’s always something to explore nearby! TAKE A LOOK. 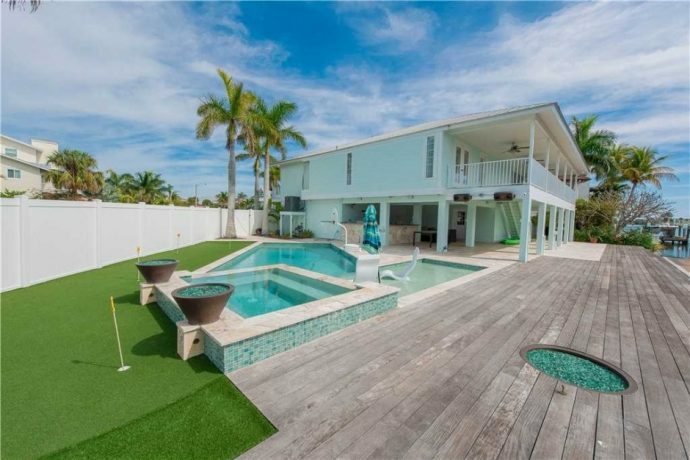 Island Pineapple is a gorgeous newly renovated 4 bedroom and 4 bathroom home that features a stunning backyard oasis perfect for a large family getaway. Sit back and relax in the tropical oasis of a backyard that features a private screened-in heated pool, a covered lanai and plenty of outdoor seating. The interior of this amazing home is just as grand. The open concept kitchen, dining and living areas allow everyone to spend some quality time together while still offering enough space for privacy when you want to enjoy some quiet moments. TAKE A LOOK.